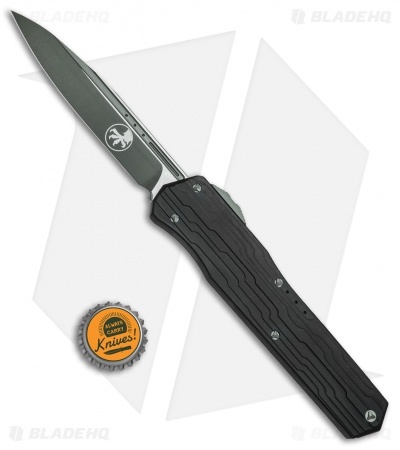 This Cypher model is outfitted with a single-edged blade in an OD green finish and a black aluminum handle with a green finished pocket clip and endpiece. The Microtech Cypher OTF is a production version of the popular A. Marfione / D.C. Munroe custom collaboration. 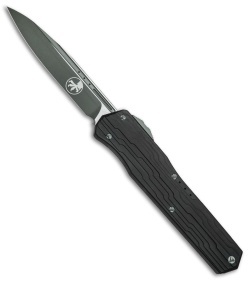 Its stylized handle is made from lightweight aluminum with a black anodized finish and a titanium milled pocket clip and endpiece. Unique stepped handle design offers a firm, reliable grip. 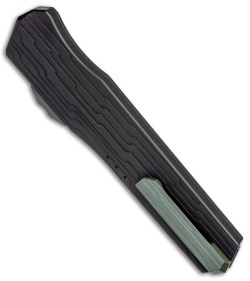 Milled titanium pocket clip for comfortable tip-down carry. 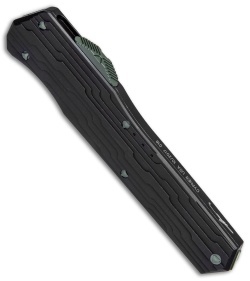 Resilient Bohler M390 stainless steel blade provides a high performance cutting edge.